Go behind the beans of our newest coffee, the Papua New Guinea Kunjin. Why does everyone lose their minds over Jamaican Blue Mountain coffee? And what does Papua New Guinea have to do with it? On this week’s episode of Uncommon Grounds, Todd headed to Jamaica to try and source some of the world’s most famous beans. Coffee plants were first brought to Jamaica in the 18th century. They found their way to the Blue Mountains, the cool, misty mountain range behind Kingston, and thrived there. High altitudes and a chiller climate caused the plants to produce dense beans packed with rich flavors and aromas. It wasn’t long before Jamaican Blue Mountain coffee was renowned throughout the world as some of the best – and soon the most expensive – coffee on the market. 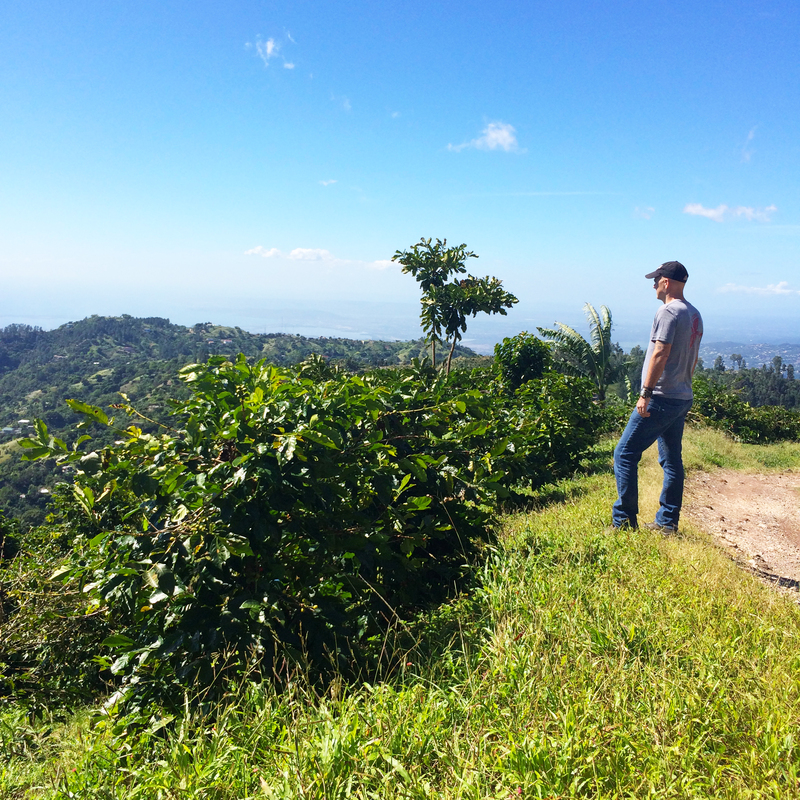 While he was in Jamaica, Todd wasn’t able to find a high-quality yet affordable Blue Mountain coffee for La Colombe to buy and roast – but there was an alternative. In the 1920s, the same plants were brought from the Blue Mountains to Papua New Guinea’s Waghi Valley. Today, the variety is growing there happily at high altitudes, yielding the same delicious, high-quality coffee as its Jamaican cousin. Our newest single-origin brew, the Papua New Guinea Kunjin, lets you experience Blue Mountain coffee without paying Blue Mountain prices. This distinct coffee surprised us with notes of cedar that play well with the sweeter notes of grape and pralines. If you’ve always wanted to try Blue Mountain coffee, this will hit the spot! Ugh. I bought a 1/4 pound of Blue Mountain from a local roasting company and I was really disappointed. I felt nothing. Tasted nothing but a light roast coffee that I wouldn’t bother with again. I tried it in a drip and again in a French press, but still was bored with it. What do I need to do to my palate to really appreciate the nuances that make this coffee so sought after? How do roasters determine the best roast temperature/level? Would this one be better as a darker roast? Did I mix it too thin? Make sure it is the real thing, 100% Blue Mountain beans from Jamaica, medium to dark roast. I find it is better as a dark roast. You also have to really use well rounded scoops of grounds when you brew, it needs to be strong to bring out the nuances of the bean. It is very expensive, and an awesome alternative that my wife and I have been enjoying for years, is Papau New Guinea beans, which grow on that island at the same elevation as the Blue Mountain beans in Jamaica. The original bean plantings actually came from the Blue Mountain variety from Jamaica, so it’s not surprising that the Papau New Guinea is so excellent, at 1/3 the price of Blue Mountain. Excellent and decent post, I read your article and find it is very informative. I am searching about Jamaica Blue Mountain Coffee and after some time I found your post it ends my search. I really appreciate you for this post. Keep it up. Thanks.